Since its introduction in 1963, the Porsche 911 has undergone continuous development. Distinguishing an early Porsche 911 from later models is relatively easy, as they offer 4.5 inch steel wheels and the Porsche script on the base of the engine lid uses connected lettering. The early 1965 to 1966 models also had wood trimmed steering wheels and a wooden lower dashboard. When the announcement was made in 1963, Porsche had named the car the 901. 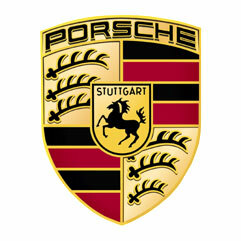 The car was later renamed the 911 because Peugeot copyrighted 3-digit car model numbers with a 0 in the middle. When looking to buy a 1964 Porsche 911, there are a few important steps you should take. First, check for rust. Rust can be very expensive to fix, particularly in the pre-galvanized models. Some important areas to check include the jack points and torsion bar tubes, the seams and edges of doors, trunk and hood, and the floorboards. Knowing if the chain tensioners have been replaced can save you a lot of money in your restoration or maintenance bill. When you’re ready to explore the Porsche 911, connect with ER Classics today.